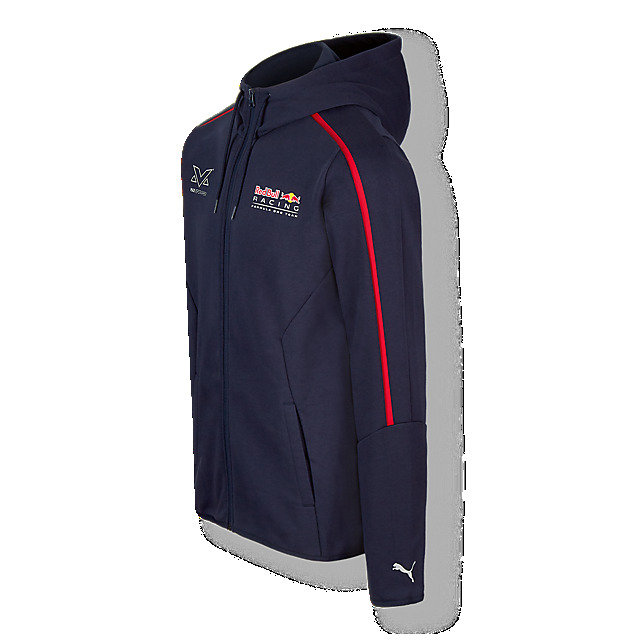 Support Max Verstappen every day with this stylish hoody. 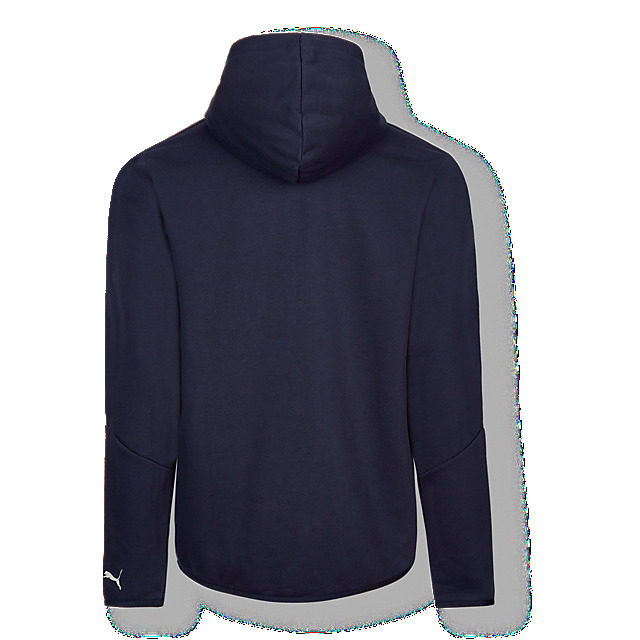 This classic hoody is inspired by PUMA's iconic T7 jacket and combines design elements of the original heritage style alongside all-new features to deliver a fresh motorsport vibe. 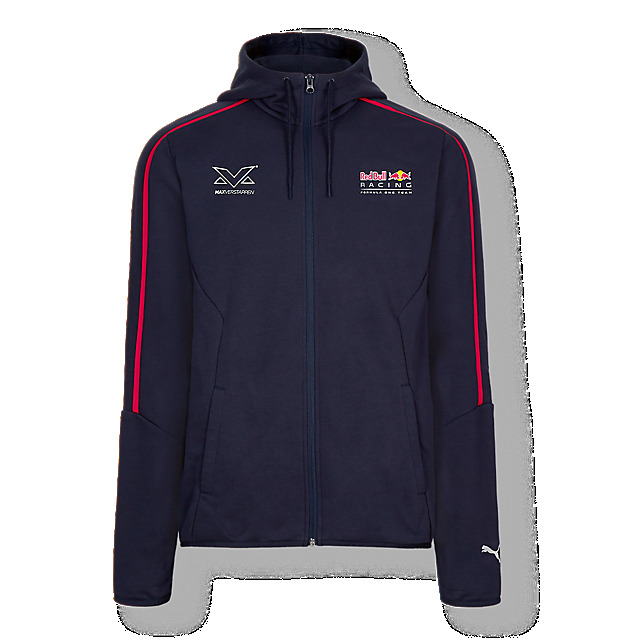 The classic T7 formstrip runs along the sleeves, enhanced by red stripes, while Max's logo and the Red Bull Racing logo on the front keep your pride on show. Meanwhile, a cosy hood, side pockets, a full length zip and cuffed hems will keep you cosy and comfortable.